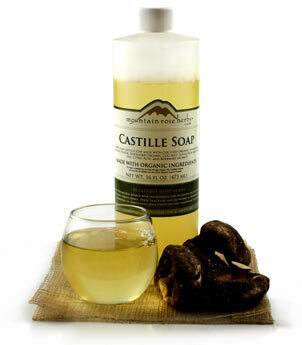 Natural Shampoo Recipes: How to make shampoo for Oily hair. 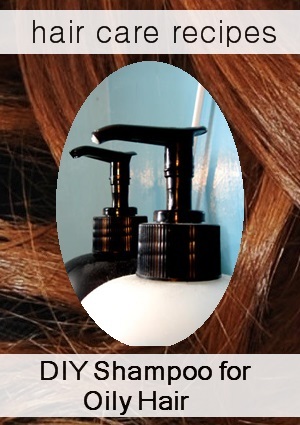 Dry Shampoo Recipe: This is great for oily hair. Also is a wonderful substitute for a wet shampoo. Especially for the elderly or bedridden. Directions: Sprinkle the cornstarch in your hair or use a large make up brush to dust onto roots of hair. Let absorb for a few minutes, then brush out. You can also use a hairdryer to remove excess cornstarch. You can also add herbs such as Chamomile, Lavender, Rosemary, Saw Palmetto, Thyme, Yucca to cornstarch for a nice scent. Place herbs and cornstarch in a bag for 1 day. Sift the mixture and use as above. 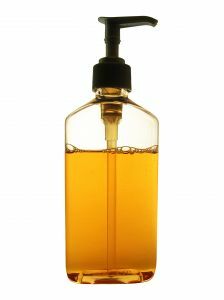 Homemade shampoos for oily hair tend to leave out the carrier oil in their recipes. You might find the shampoo just too harsh without an added oil. Start by adding 1 tbs to your shampoo recipe. And work up from there. Jojoba is the perfect oil to try. It's closest to the skin's natural oils and isn't heavy. Essential oils for that help balance your ph level and control oil are: Grapefruit lemon oil: Promotes hair growth, astringent for balancing oily skin and hair. As with all citrus EOs, use in moderation, 5 drops per recipe. Lavender works wonders controlling oil production and reduces itchy/flaky scalp. Neroli, Palmarosa, Patchouli, Sandalwood , teatree, Ylang-ylang all are great for an oily scalp.